TORONTO FILM. 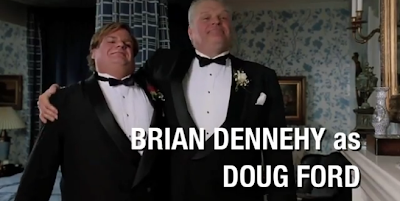 NET: "Rob Ford: The Movie"
Sneak Peek actor Chris Farley in his past film performances for a good-natured parody of Toronto Mayor 'Rob Ford' in "Rob Ford: The Movie". 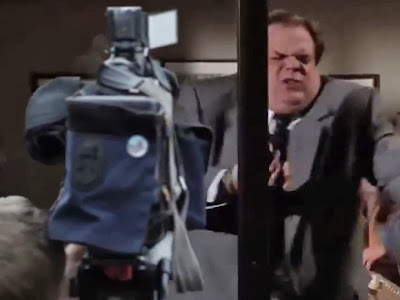 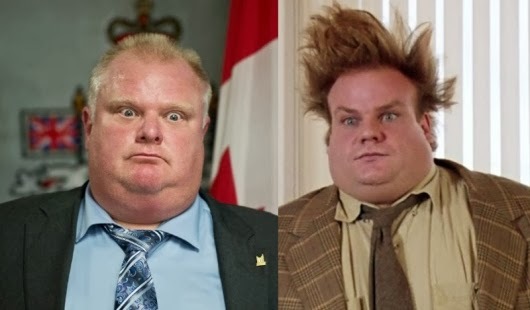 The trailer was compiled by Toronto filmmaker Tristan Gough for "Rob Ford: The Movie", using clips from Farley's "Tommy Boy," "Black Sheep," "Air Heads," and "Dirty Work", imagining what a biopic of Ford might look like if it starred the former "Saturday Night Live" star.